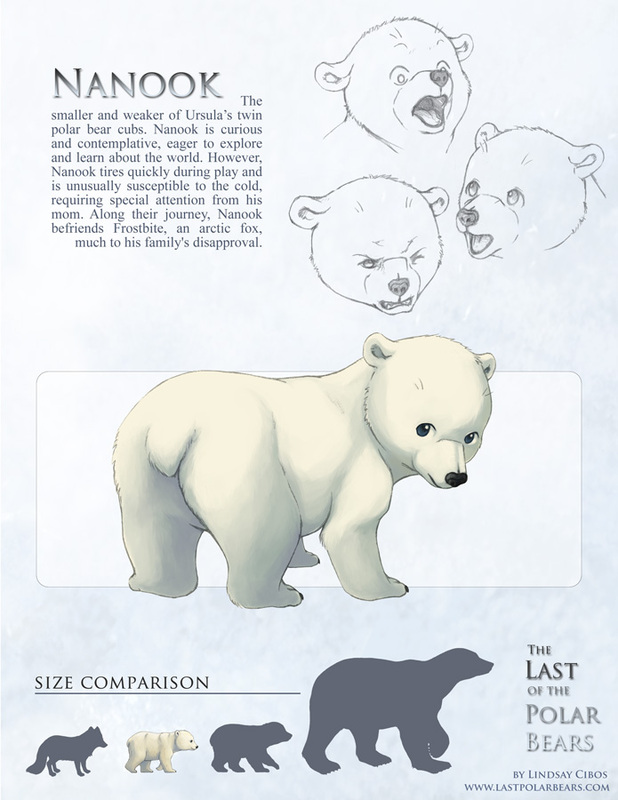 The stronger of Ursula’s twin polar bear cubs, Stella is energetic and brash. She uncritically adopts her mother’s philosophy that strength and determination can overcome any obstacle. Though she loves her smaller sibling, Nanook, her teasing and rough competitive play drive a wedge between them. When he finds another friend, Stella is left to struggle alone with her growing concerns over survival. The smaller and weaker of Ursula’s twin polar bear cubs. Nanook is curious and contemplative, eager to explore and learn about the world. However, Nanook tires quickly during play and is unusually susceptible to the cold, requiring special attention from his mom. Along their journey, Nanook befriends the arctic fox, Frostbite, much to his family’s disapproval. Ursula is a firm but loving mother polar bear. Protecting Stella and Nanook, her first litter of cubs, is her top priority. Following in the paw prints of her mother, she takes great pride in preparing her cubs for adulthood. However, she’s finding that strength, the core value of her teachings, is no longer enough to survive the changing Arctic landscape. A rebellious young arctic fox that craves adventure and independence. Ill-prepared for life away from home, the carefree, Frostbite is learning that the Arctic is a lonely place filled with hardship, and scarce on food. 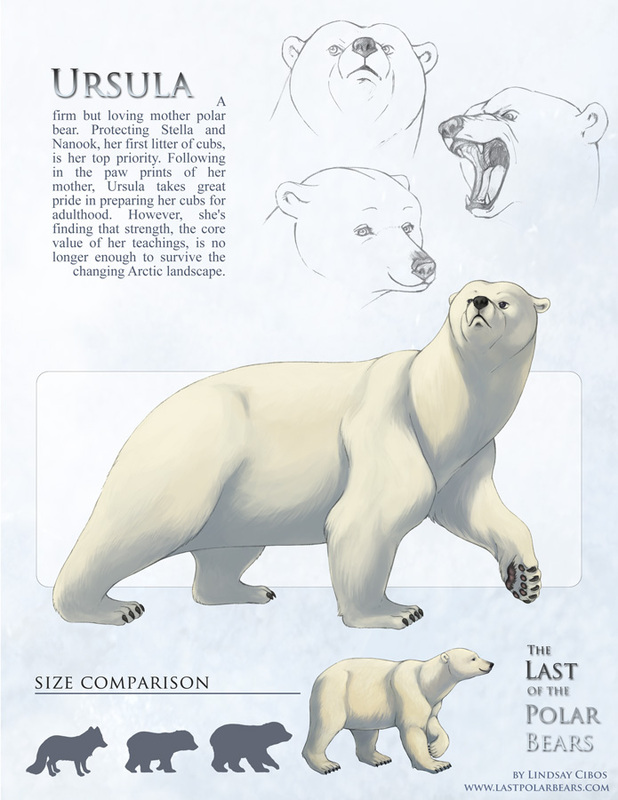 When a hunt-gone-awry brings her face-to-face with Nanook, Frostbite quickly forms a bond with the cub. 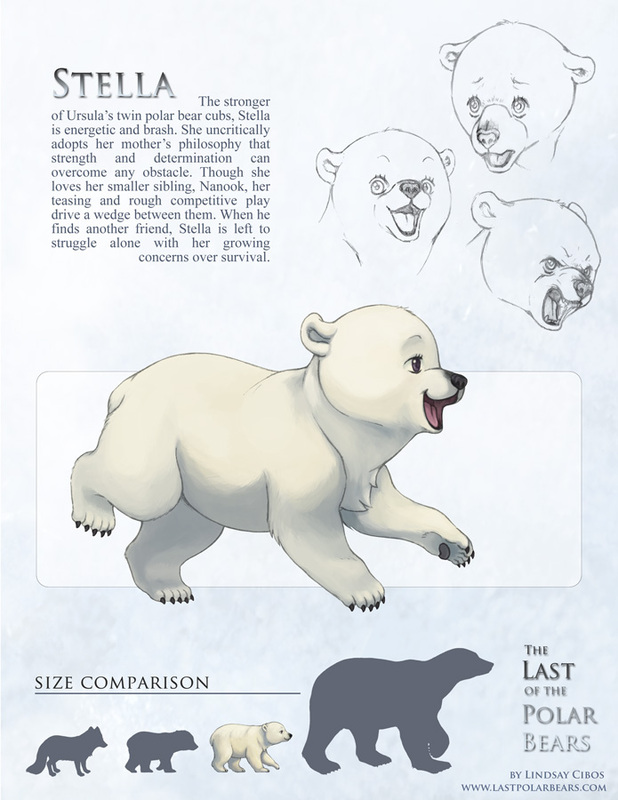 Chatty and sociable, she takes solace in their budding friendship…but also has other reasons for tagging along with the polar bear family. These seem to be very well thought out characters! Your way of revealing the first and smallest plot twist Of Frostbite’s ongoing participation is done very well and does not take away mystery to the story! 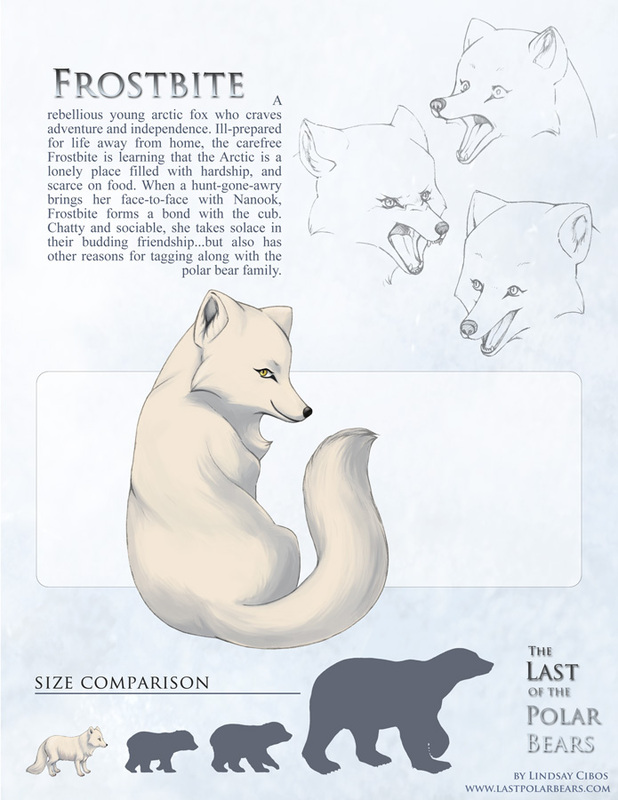 I’m a little confused… Polar Bears are natural enemies to Arctic Foxes. Why in the world would a fox be hanging with them, and furthermore, why would the bear let it? Arctic foxes will follow polar bears for food scraps, and are nimble enough and keep far enough away to avoid getting attacked by the bears. Certainly an arctic fox who wasn’t careful could easily become polar bear dinner, though. Woah! You are an inspiration, Lindsay! Love Frostbite so much! I have used a bunch of your tips, and own the Draw More Furries book!